Best Web Hosting from £1.25 /mo, cheap web hosting on Cloud SSD Servers in UK & USA, ideal for low traffic or beginner websites. Start your own web hosting company with our private labelled reseller hosting plans from £14 /mo, hosted on Cloud servers. Unleash the power of SSD Cloud for £21 /mo, with our fully managed Cloud VPS in UK & US, ideal for your high traffic websites. Fully Managed Dedicated Servers from £99 /mo, suitable for your extreme high traffic websites and hosted applications. 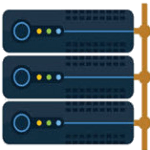 Why choose RSHosting Web Hosting services? Superfast SSD Cloud hosting; offering reliable, secure and quality web hosting with 99.9% uptime guarantee and 24/7 professional and friendly support. Hundreds of honest customer reviews, have chosen RSHosting as the best web hosting company. Leading web hosting industry since 2003, and specializing in offering premium grade fully managed web hosting. By partnering with the best datacenters in UK and USA, we offer 100% SLA Network Uptime guarantee for our servers. Are you hesitant to signup with us? We offer 30 day money back guarantee, which we are sure, you wont ever claim. Carefully crafted by experts and evolved with time, RSHosting offers Cloud SSD hosting with all our plans. All our web hosting packages come pre-loaded with hundreds of attractive features, absolutely free of cost. Be it a Christmas or a New Year eve, or any other day, our friendly support is available on Live Chat to help you. RSHosting has become one of the best web hosting companies, based on customer referrals and hundreds of honest testimonials and reviews, they prefer to leave online. I've been hosting with RSH for at least 15 years now. When I first went with them they had by far the best support I'd ever witnessed. Things did change for a while once they were taken over by a bigger company but once again the support is top notch and they are always trying to help. Excellent support after I messed up payments. Quick and efficient and got my site back straight away. Thanks Richard, great stuff. The assistance was excelent, the service was fast, and they answer my question very well. Great hosting, and you can speak to someone in the UK who knows what they are doing!! I've been with RS Hosting for a few years now, and although I've not had cause to raise more than two or three tickets, they've always been very fast and effective at dealing with my problems. I had thought that as they charge so little for web hosting that support might be the weak point, but not so, I thoroughly recommend them. We have been with RS Hosting now for over 6 years and get on great with the guys, I believe as we have so many sites hosted that together we have been able to make both of our services stronger as we are quite demanding as a web organisation and have to really put RS through their paces. They now know what we require and how to make everything as smooth as possible.We have dealt with other hosting companies and the support time can run into days, I have to say with RS that there support is normally within the hour and they will stay on the issue till complete. Fantastic company and service. Almost instant reaction time if any issues which are of course very rare. Sam in particular is a great guy, supporting us through some of the more technical stuff.Highly recommend! Outstanding service and great customer support. I chatted today with Richard Hays and he solved my problem super professionally. I can recommend this hosting company to any serious marketer. Have been using RSHosting for over 10 years. Great customer service - fast and responsive. Skilled technical stuff. Highly recommended! Very good hosting company. Awesome technical support. Definitely one to stay with. Great uptime. Keep up the good work!! RS Hosting is the fastest hosting provider. Fast loading times with speeds that aren’t competed with by any other hosting providers we’ve found with up-time (99.98%), and offer some of the best and helpful support we’ve seen yet. 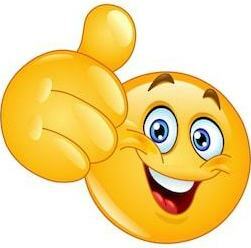 I got a UK managed cpanel vps with Rshosting in Nov 2012 and since then have been extremely happy with them. They have an amazing support... with my tickets replied quickly and with detailed explanation as what did they do to fix the problem. 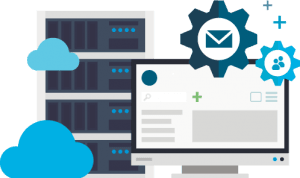 I have not experienced any such downtime for my vps with them, except any for scheduled server maintenance which is notified in advance.I would highly recommend these guys for their excellent hosting and support. A great, helpful service as always! My host for last 9 years. Good servers with excellent uptime and fast support. RSHosting offers the best wordpress web hosting, fully managed, secure and reliable. 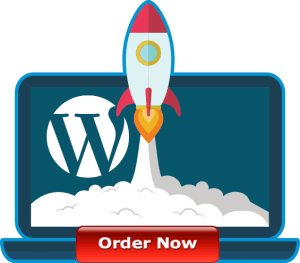 Turbocharge your wordpress website by hosting it on SSD powered Cloud, WordPress servers, which are optimised and fine tuned to deliver exceptional WordPress performance. Managed WordPress hosting plan come with pre-installed WordPress, secured firewall and WordPress staging previews.